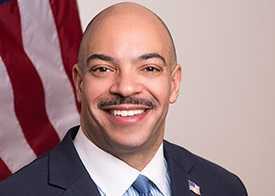 PHILADELPHIA, Pa. — During the criminal trial for former Philadelphia District Attorney Seth Williams, the co-owner of a popular bar in the city’s “gayborhood” acknowledged last week that he gave gifts to the now-jailed district attorney “in part” in hopes that he would receive legal favors. According to the Philadelphia Inquirer, Michael Weiss, the co-owner of Woody’s in Center City, was asked by federal prosecutors under immunity if there might have been an ulterior motive in paying for Williams’ vacation airfare on over a dozen occasions and lending him his Jaguar convertible. “What does Little Sethy want for his birthday?” Weiss acknowledged texting to Williams at one point. However, in other questioning, Weiss testified that he doesn’t think he “bribed anyone,” and that he gave gifts to a number of people. He said that he thought perhaps Williams was asking too much of him in continuing to request money and other perks. Weiss was not the only one, however, to be questioned about the motives behind his gift-giving. Businessman Mohammad N. Ali admitted that he gave Williams expensive gifts, dinners and paid travel because “wanted to get close to the DA.” Ali had been in legal trouble after being convicted of tax evasion and was hoping Williams would help him avoid a significant prison sentence. On Thursday, Williams abruptly ended his trial by agreeing to plead guilty to one count of accepting a bribe (from Ali) and immediately resigned from office. The other 28 charges were dropped under the agreement. “I’m very sorry for all the trouble,” Williams told Judge Paul Diamond. The district attorney has stated that he had difficulty paying alimony following his 2011 divorce, thus the requests for help from others. Williams was ordered to be held in the Federal Detention Center in Philadelphia until sentencing in October. He faces up to five years behind bars. As previously reported, Williams had been fined $62,000 in January by the Philadelphia Board of Ethics for failing to report the gifted trips and goods as required, and he declined to run for re-election due to the “unnecessary shadow” the situation has cast on his office.